When it comes to horse trailers, Exiss understands the unique needs and features that are needed to keep your horses safe and make your life easier. Crossroads Trailer Sales in Newfield, NJ is proud to carry several models and styles of Exiss Gooseneck Trailers. This week’s featured trailer is the Exiss Gooseneck 3H Slant Load.The 3H Slant-Load model has an equally impressive interior and exterior and is loaded with horse-friendly features. This spacious trailer is 7′ in width, and 24′ long. The interior height is 7′ and stall widths are 40″. The Exiss 3H Slant-Load comes standard with a folding rear tack, patented slam latches, and carpeted dressing room. The trailer has a double rear opening, 2 side doors and 2 axles for easy loading and access. Exiss horse trailers are designed for the ultimate safety and comfort for your horses. 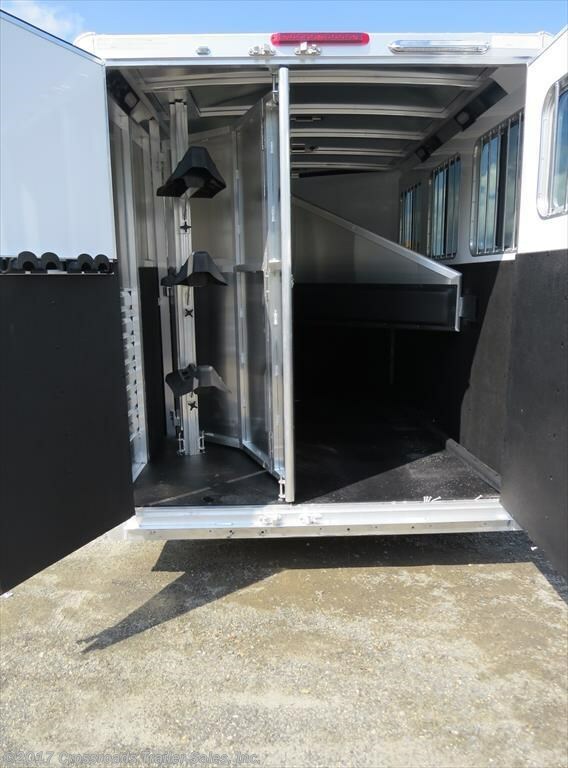 The 3H Slant-Load includes a dressing room with 4′ sidewall and two interior and one outside tie ring per horse. Stall dividers are slanted with body, shoulder, and head separator with latch system. Keeping you and your horses safe on the road is one of the most important factors in purchasing your next horse trailer. Exiss’s reputation of reliability and safety continues to prevail with their new 2017 models. The 3H Slant-Load has 2 rubber torsion axles with electric brakes, and single leg landing gear with removable crank handle. Hitch safety is also crucial, and this model has a Kingpin hitch with coupler, breakaway switch, and safety chains with slip hooks. We have a great selection of Exiss Horse Trailers for sale at Crossroads Trailer Sales in NJ to meet your specific sizes and needs. We carry smaller and larger horse trailers for those traveling with one, two, three, or four horses. Visit our dealership in Newfield, New Jersey to see all our trailers in stock. If you have any questions, or would like to see more of our inventory, please call (856) 697-4497 or visit our website www.crossroadstrailers.com. 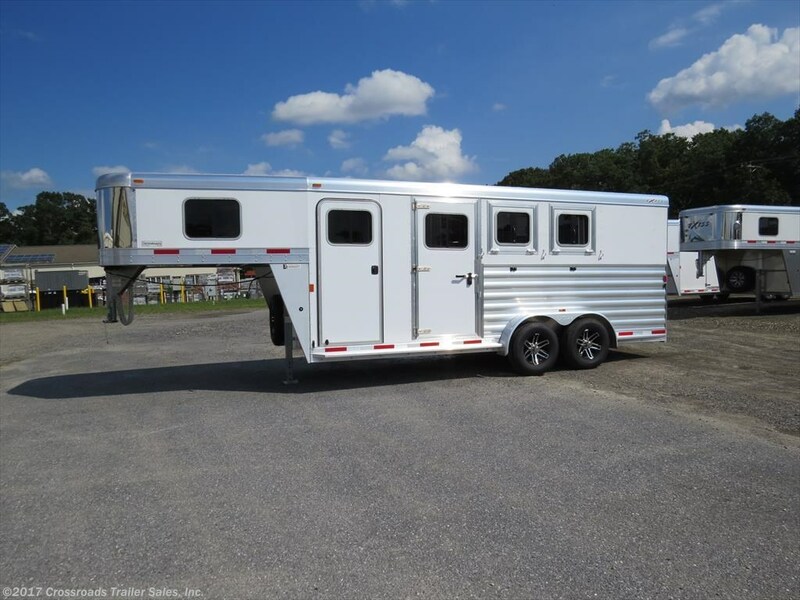 This entry was posted in Featured Units, horses and tagged 3 horse, 3h, exiss, gooseneck, horse trailer, horses, trailers by admin. Bookmark the permalink.